The Real World: Seattle (Two; II; Back to Seattle) is the thirty-second season of MTV's reality television series The Real World, which focuses on the interactions of strangers from differing backgrounds living together for several months with cameras rolling. Shooting for the show is expected to take place in June over a 12-week period. Our first confirmation of Seattle came from one of PinkRose's very reliable sources and the second confirmation comes from my discovery that Flip This ***** will be likely designing this season's house. Flip This ***** is known for designing the Bad Girls Club houses for Bunim Murray who also produces The Real World. 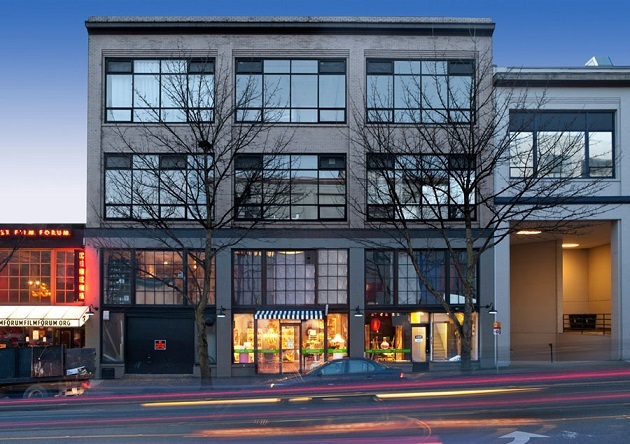 Filming will take place in the The Ballou Wright building located at 1517 12th Ave, Seattle, WA 98122. Yes, I waited for this thread on the main page. Now I'll be getting ready for work. Is it just me or am I the only one that would love a Best Friends twist? I hope they get them a house and not a loft! I agree I'm ******* tired of lofts! Atlanta is the most requested city for Real World and Jon Murray continues to ignore the possibilty of greatness that it could bring. FTB was also in Atlanta a couples weeks back. They really missing out. Not for Real World. If they were all of Atlanta would know by now. I just hope they let the cast do more. GBGH proved that the cast had nothing to do while filming. No reason to make these people miserable tbh. Jon probably had a bad experience there or something, loool. I think their $300 stipend will go further in Seattle than it did in Vegas. Do you think this season will finish filming before Season 29 of the challenge? I hate how you have to wait almost a year to see people again. Last season that went straight to a challenge was Portland I think. So Seattle Huh? I would've liked for them to go to Miami or Hawaii but guess that's not happening this time around. But it's cool they're doing Seattle though. It's been YEARS since they been to Seattle so this should be good. Season 29 better be BoTS and Seattle better be a part of it. It's annoying as **** when they film the challenge like 2 weeks before real world filming ends. I guess they gotta see who on the cast is most well liked first so they know who to ask. I think Challenge 29 starts filming in August or September but I doubt this Real World cast will be on it. Because season 29 will probably air around same time as this. Didnt one of the challenges take like 7 months to air after being done with filming though? Rivals II ended in September and FA aired in April. Wayyyyy too long. Same thing with Bloodlines. I think 3-4 months after filming is when a challenge should air. That's perfect.